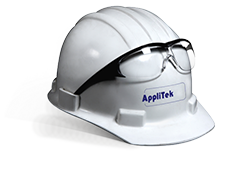 AppliTek designs its analyzer systems in such a way that they comply with the highest of quality standards. High up-times are guaranteed through the use of long-life components, craftsmanship in both mechanics and analysis methods and, if necessary, appropriate preconditioning. Even when built in function of the application and designed to cope with the most demanding ambient conditions, maintenance will be needed to behold the analytical specifications and reliability of the analyzer (system). Reactive maintenance is one solution (fixing when broken) but may introduce lost production, overtime, collateral damage and in some cases jeopardize plant safety. Maintenance contracts are highly recommended because of the nature of our analytical equipment and the need to keep equipment down-time to a minimum. In that case, maintenance of the instrument(s) can be assured by AppliTek specialists or an assigned third-party locally. For local assistance in your country, please take a closer look at our distributor network.